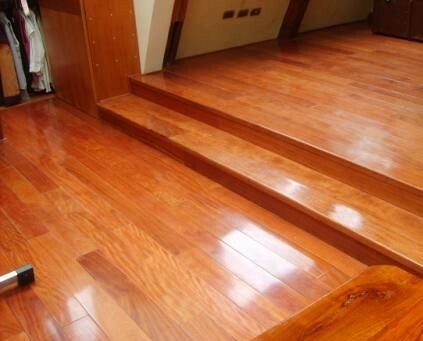 How to get Royal look for your wooden floor? Wooden floors would be your first choice when you wish to give your home a luxurious look. Here we have listed a few tips and suggestions that will help you give your home a royal looking wooden floor. There are several distinctive textures for residential wooden floors. Some of these floorings actually look rich and vibrant. It can actually make your home appear lustrous and bright. Here we have listed a few of the wooden floors that carry a posh look. 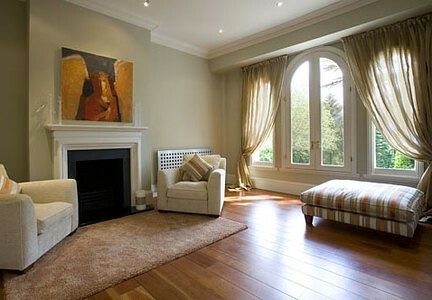 · White Oak Wooden Floors: White Oak Wooden Floors come in many different colors and shades. Some of these colors are usually prime attractions in most exuberant homes. There are many shades even in these. You may go for colors like Highland Smoke, Mocha, Coffer or Red Wine. These look great in contemporary homes. · Maple Wooden Floors: Even Maple Floors have many eye-catchy textures. You may go for floors that have a uniform grain structure. This will make it have a perfect finish look. They come in many light and dark hues. You must choose colors that make your home appear bright. · Red Oak Wooden Floors: Red oak wooden floors have great durability and workability. They usually have reddish and brownish hues. They are preferred due to their greater durability. If you have wooden floors in your house, you need to protect them from dirt, filth and allergens. There are various ways to do this. One fine way is to select an apt carpet for your floors. Here we have listed a few fine carpet options. Most of the ancient mansions and manors had well-worked Oriental and Persian rugs to ornament their floors. If you wish to decorate your home in a traditional way, you may use Oriental rugs. Yet another benefit of this fabric is that it can also be a part of your antiques collection. Its value will increase with time. Red carpet is a synonym for richness. You can use a red colored rug for your home floors and give it a touch of luxury. You must make sure you maintain these rugs in good condition. These are especially well-suited for stairways and foyers. Do you love to stay close to nature? Lush green grass carpets or mossy carpets also make your home appear glitzy. You must maintain these rugs intact so that they do not gather allergens. Wooden floors are a great investment. You should maintain these floors in good condition so that they do not lose their glimmer over a period of time. Here listed a few simple ways to maintain the wooden floor in great condition. o You should regularly clean and vacuum the wooden floors. This will help you maintain its gleam. o Make sure you use the right cleaning solution. Some solutions may reduce the beauty of hardwood floors. o You must not use wet mops on wooden floors. o You must never use ammonia on the hardwood floors of your house. o Clean the floors as soon as you trace dirt on it.